The latest Audi four-cylinder 2.0-litre, 201 bhp 40 TDI engine is now available to order in the A6 Saloon, Avant and A7 Sportback – the first time a four-cylinder has been fitted in the five-door coupe – offering favourable calculations for business users. 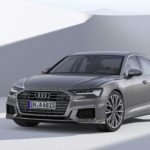 The new Audi A6 Saloon will become available in the UK this summer. The main features include an all-digital control system, comprehensive connectivity and mild hybrid technology. 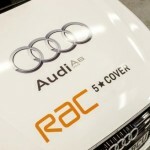 The new model incorporates many of the refinements and innovations from the company’s latest A8 luxury flagship. 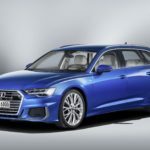 Mile-devouring fuel economy is likely to be a key consideration for most drivers of the 67mpg Audi A6 TDI ultra, but on this occasion it is nothing short of crucial because a Guinness World Records™ title attempt depends on it. Already notable as the first conventionally powered premium executive class car to combine groundbreaking efficiency with a full, unfettered sports specification, the Audi A6 is about to shift up another gear as a new model waits in the wings. A new range of Audi ‘ultra’ models focusing more intensively than ever before on class-leading economy and company car viability will be spearheaded in the UK by the new A6 ultra, which is available to order from this week priced from £32,515 OTR.